The annually presented Wilbur Awards and the Idalee Hawkins Leader of the Year awards are two of several means by which Leadership Texarkana fosters a community of effective leadership. The awards are given to recognize and lift up exemplary individuals and businesses who can inspire others to be outstanding community leaders. Take an active role in fostering a community of effective leadership. Take a few minutes to submit nominations for Wilbur and Idalee Hawkins Awards. Nominations for either are due by March 1 each spring and can be made online or by submitting the completed nomination forms by mail to PO Box 311, Texarkana USA 75504. 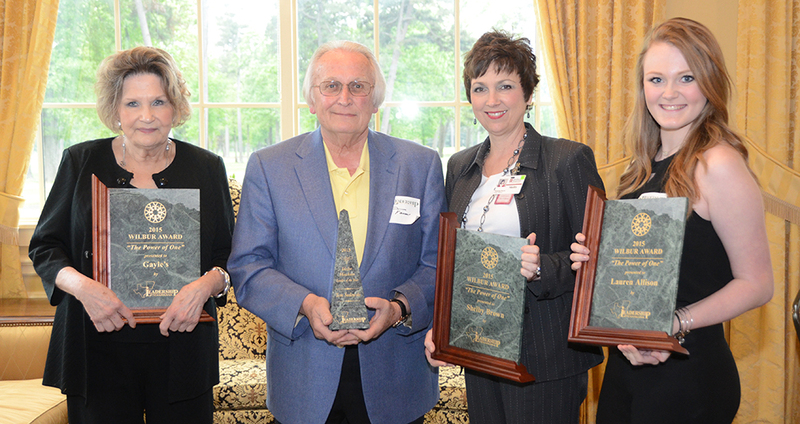 Honorees are recognized at LT’s Annual Lunch with Leaders on the second Tuesday of each April. The Wilbur Awards are presented annually to individuals, organizations, and student leaders who epitomize the power of one entity or individual to positively impact our community or region as models of effective leadership and of working together for excellence, pride and progress for our community. Named in memory of Wilbur Smith, anyone in our area is eligible to nominate - or to be awarded - a Wilbur Award. Strong nominees will have a history of collaborating in the community to build strong partnerships. The Idalee Leader of the Year award is presented annually to an LT graduate who not only is worthy of that tile, but who also exemplifies the ability to balance roles between family and community, and whose leadership results in a better Texarkana for all who live in our community. The award is named after and inspired by LT alum Idalee Hawkins, who set a lasting example for her willingness to give of herself for her family and community. Just as this award is specifically for LT honorees, only LT graduates are eligible to make nominations for the Idalee Hawkins award.